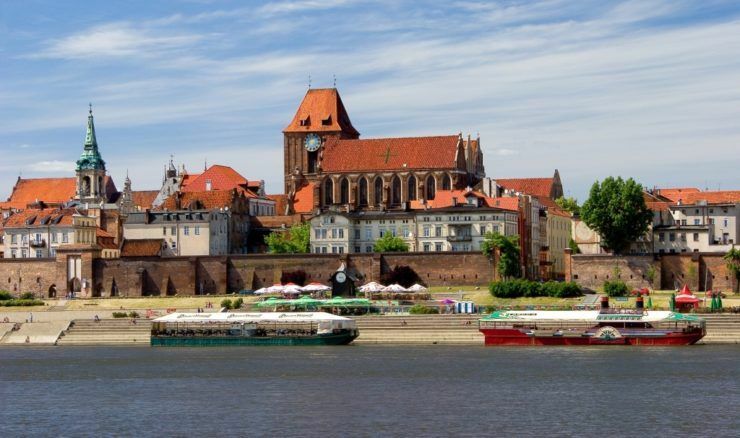 Torun is an outstanding example of medieval Gothic town, a UNESCO World Heritage Site, called one of Seven Wonders of Poland. 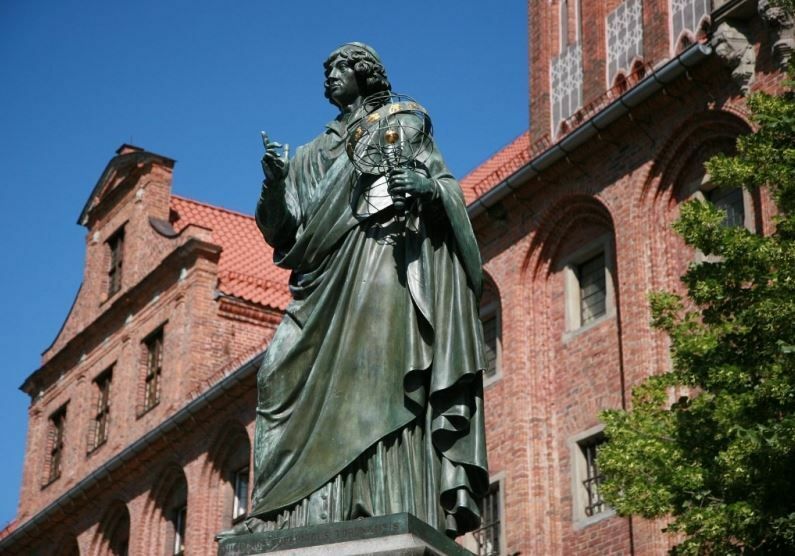 Get to know about famous Polish astronomer Nicolaus Copernicus who lived there. Move back to medieval ages and remember to taste the best gingerbread in the world. 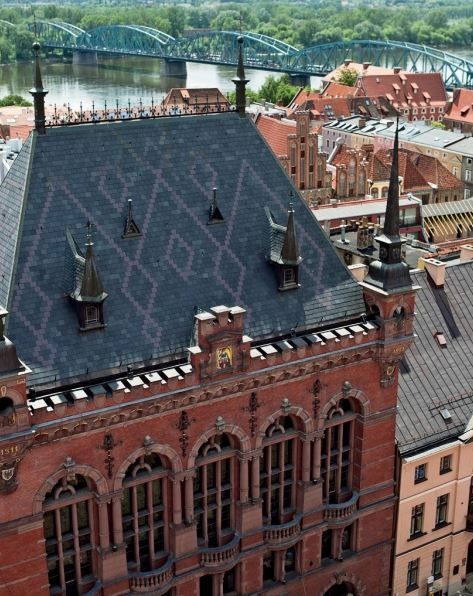 What will you see during the tour to Torun? 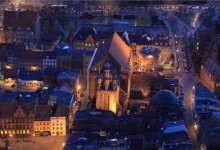 Your city tour includes the hearth of Torun – Rynek (Main Square). In the middle of the square you will find a Gothic Town Hall, which houses the town museum. Inside you will see a rich collection of sculptures, paintings and stained glass. 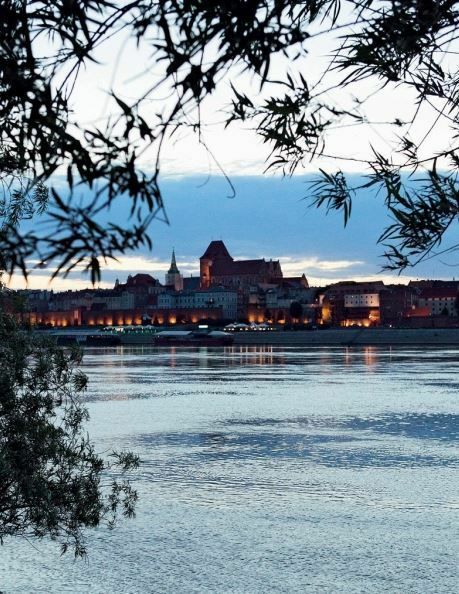 We strongly recommend you to climb the tower to admire gorgeous panorama of Torun and the Vistula river. In front of the entrance there is a bronze statue of Mikołaj Kopernik (Nicolaus Copernicus). 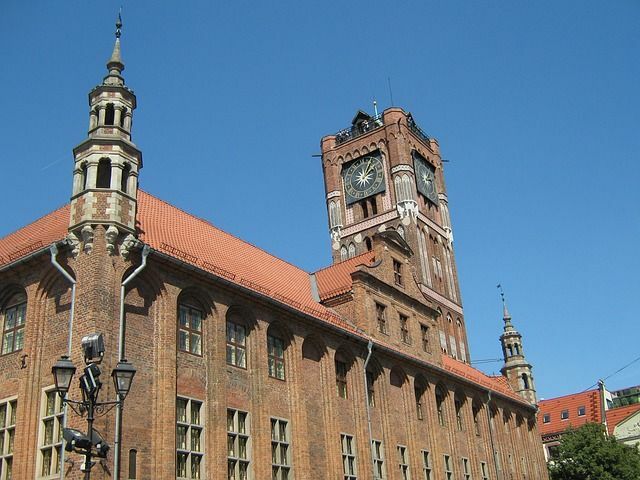 Around the Rynek have a look at mansions of the Hansa merchants like Pod Gwiazdą or Dwór Artusa. Most of them are richly decorated and well preserved. 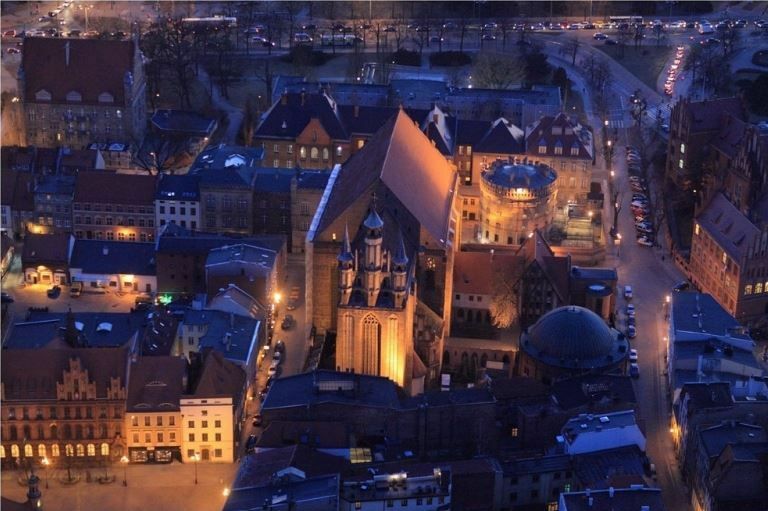 Just next to the Main Square you will visit the Holy Spirit’s Church and Saint Mary’s Church. The second one comes from 14th century and was founded by Franciscans. You will be charmed by a genuine organ from the beginning of 16th century, medieval tombstones and colourful stained glass. Afterwards you may admire a magnificent Saint John’s Cathedral. 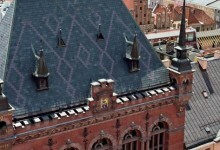 Some of the oldest elements of this enormous building can be dated back to the 13th century. Through the years this church was a religious centre for local community and was a witness of important Christian ceremonies – for example Mikołaj Kopernik was baptized here. 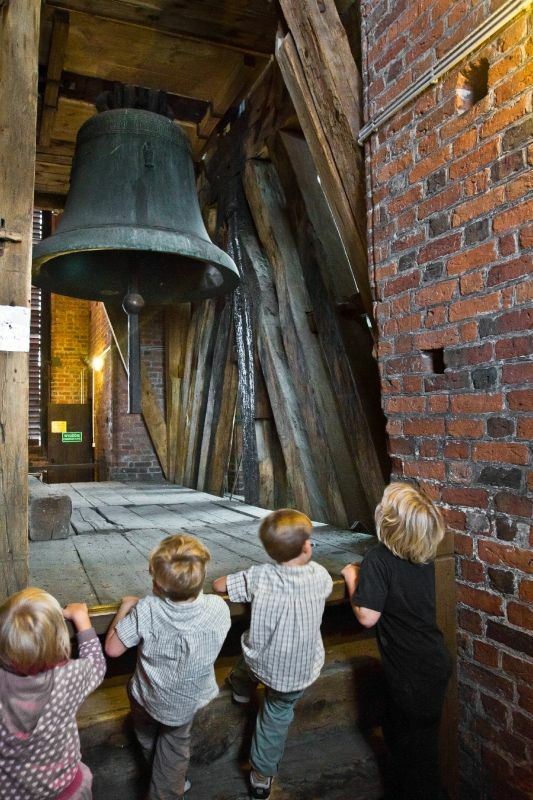 Visiting the cathedral listen to the history of “Tuba Dei” – the biggest medieval bell in Poland from 1500. 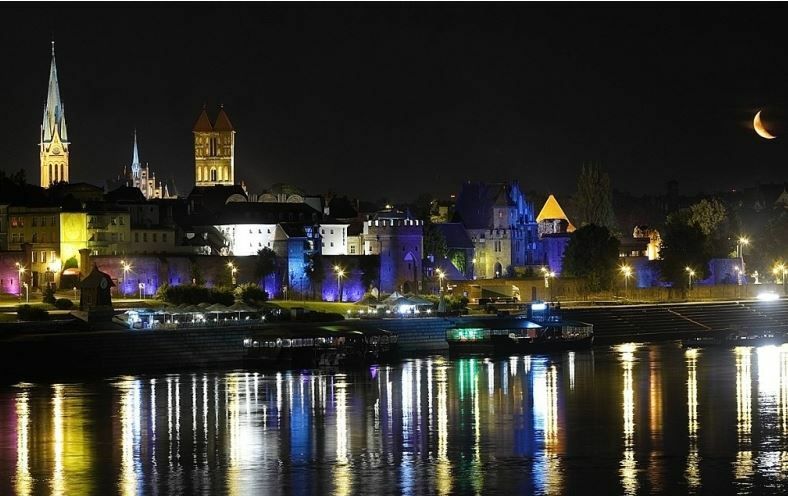 Passing defensive walls and several towers like Sailor’s Gate or Bridge Gate you will reach the ruins of the Teutonic Knights’ castle – the headquarters of the Commander on the right Vistula’s bank. In the newer part of historical Torun – Nowe Miasto you will see representative commercial residences like pharmacy with a golden lion, “Pod Modrym Fartuchem” inn. Another historical object is former church of the Holy Trinity (now functiones as a gallery) and Saint James’s Church. 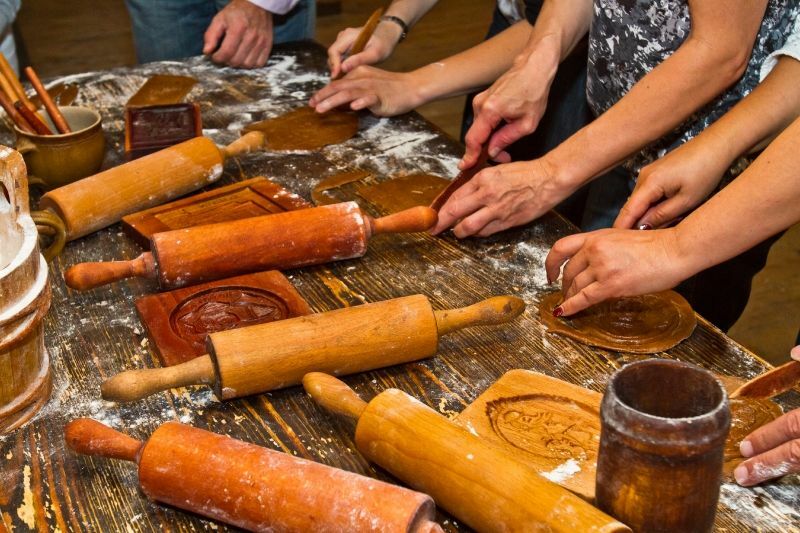 Our tour includes visit to Living Museum of Gingerbread – you will participate in the process of making the aromatic dough in a fully functional 16th century gingerbread factory! It is the only museum dedicated to gingerbread in Europe. All in English. 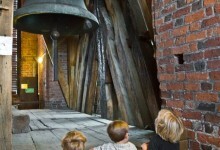 This is partially self-guided tour which starts in Warsaw. Your train departs from Warszawa Centralna (Main Station) and you have to reach it from the hotel on your own. 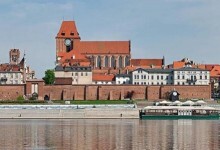 After about 2,5-hour rail journey our local guide will meet you at the platform and take you for a tour around Torun. Once the tour is finished, there is some free time to have lunch. At 16:00 you will take part in workshop in Living Museum of Gingerbread. Then you have some free time. Afterwards, you take a train and will come back to Warsaw about 22:00. Why do I have to pay 170 euros if the price starts from 70 euros? What is the Living Museum of Gingerbread? You take morning train which departs at 8:18 from Warszawa Centralna station. Please mind that sometimes railway timetable changes and you will be advised beforehand. Journey from Warsaw to Torun takes 2,5 hours one way. 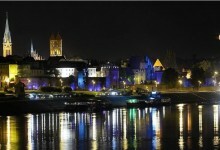 How long is guided tour in Torun? 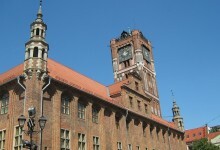 Torun tour lasts 3 hours.